Our Funarena! : India: Something’s Not Right! When you log in to your Gmail account and it is not working properly then Google promptly tells you ‘Something’s not right’! It keeps on popping up till order is restored. I think Google should consider adding this tag to ‘India’ whenever any reference is made to this country! However ruefully, you must admit such a necessity particularly after what you’ve witnessed recently over the most successful Surgical Strikes executed by India on Pakistan. I thought at least the anti-terror sentiment was universal, but not in this country. For some people of this country terrorists are also human beings and therefore their ‘human rights’ are of paramount importance. These same people don’t utter a word about ‘human rights’ when soldiers and cops are slaughtered brutally, but in case of all kinds of criminals they become extremely vocal. They consider doing or saying anything under the sun as their ‘democratic right’. There have been so many instances in recent times in India when such people openly supported terrorists just by way of trying to assert their democratic right. Great thing about India is that such condemnable acts are being tolerated. And, these are the people who condemn our society or country as intolerant. 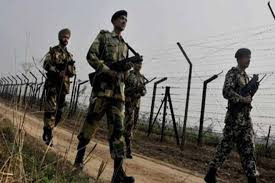 This peace-loving land called India tries to keep on the peace & dialogue track despite all odds and even at the cost of being labelled as ‘soft’, particularly in view of ceaseless ceasefire violations and killings of Indian soldiers by Pakistan. When evidently Pakistan sponsored terrorists killed 19 soldiers at Uri in Jammu and Kashmir, India said enough was enough and acted tough which was completely unexpected for our neighbouring country. Like they did earlier in Myanmar, India, with the Indian Army, executed the tremendously effective Surgical Strikes in Pakistan occupied Kashmir on the wee hours of 29th September, 2016, eliminating around 40 terrorists preparing to infiltrate into India along with a few Pak army personnel. The sheer unexpectedness of the act almost paralyzed Pakistan, unable even to give a reaction initially. However, as is usual, they got into their time-tested ‘denial mode’ and dismissed it as just another skirmish, a violation by India this time, across the Line of Control. It was not at all difficult to guess the turmoil in their mind—how could India do it! And, how desperate they possibly were to get the video of the Indian strategic strike! And then, our terror-friendly great ‘democratic’ leaders got into the act of helping out Pakistan. They asked the Indian Government to prove the Surgical Strike! They asked the Government to make the Surgical Strike video public! Any layman would know that such videos should never get released in public obviously for strategic internal security and defence reasons. One political leader went to the extent of calling it a fake! Who are they actually—terrorists in disguise or plain simple traitors or political strategists of the lowest order? What right they have to discredit the sentinels on our border and the brave soldiers who fight relentlessly, defying increment weather, only to protect our country and us? What India failed to do over the decades this government led by Prime Minister Narendra Modi finally achieved it through strategically fool-proof planning with the Army, and therefore, along with the brave soldiers the ruling government has to get some of the credit. Are these political leaders, just because they are in opposition, so naive as not to understand this simple fact? They should also have the knowledge of distinguishing a weak government from a strong government. Positively speaking, even after this ridiculous aftermath of the Surgical Strike the Indian Government is going strongly ahead to isolate Pakistan and neutralising their terrorists constantly trying to infiltrate and do brutal attacks on Indian soil. Yes, if something’s not right then it should be set ‘right’ pretty soon. The menace of terror emanating mostly from Pakistan should be eradicated completely, only then the common people of both India and Pakistan will feel safe. 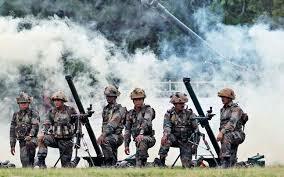 More surgical strikes should be planned and executed till the last terrorist is neutralised. Further, when something’s not right between two countries nobody should ever expect normal things to go on as if nothing’s the matter. Terror must be rooted out, come what may, come what some people would say. A strong government can always accomplish that. Jai Hind! Nature’s Paradise: Manas National Park! Bollywood Is Not A Unified Whole! LinkedIn: Not A Forum For Political Discussion?